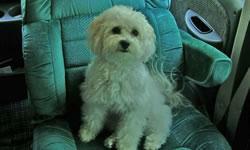 Rover is a 4-year-old bichon frise. Isn't he cute? He loves the motorhome.